While it’s a little choppy (an issue that can easily be addressed with the addition of a gimbal), we got some good results and were able to show how aerial photography can be a safe, effective way to get footage that is difficult or impossible without the use of a drone. You can see the best example near the end, where the drone follows a player during a long pass. We want to thank Bob Brotzki, Assistant Football Coach, and Steve Scarnecchia, Director of Football Operations, for their participation. Both are featured in the video along with other SU football staff members. It’s been almost a year since Professor Dan Pacheco first brought drones into the S.I. Newhouse school to experiment with aerial footage for journalism, and a lot has changed since then. Most notably, the Federal Aviation Administration has begun to flex its regulatory muscles to effectively shut down outdoor drone flights by state-funded universities by requiring certificates of authorization that don’t yet exist. 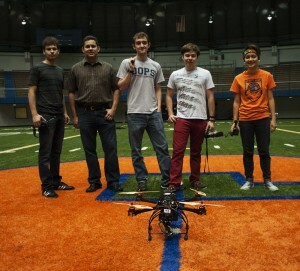 Participants of the first indoor drone test flight at Syracuse University’s Manley Field House on October 4, 2013. From left to right: Gabriel Smadi, freshman in LC Smith; Prof. Dan Pacheco, Chair of Journalism Innovation at Newhouse; Jay Getman and Arland Whitfield, freshmen from SU’s iSchool; and Erin Miller, advertising student at Newhouse. (Photo by Lenny Christopher). Because Syracuse University is not engaging in outdoor flights at this point, we have not received warnings from the FAA, but we are closely monitoring the regulatory environment as the clock counts down to September 30, 2015 — the date by which Congress has mandated that the FAA create a method to certify and authorize commercial drone flights. Meanwhile, student interest in drones is increasing. The first multidisciplinary student-run organization, which is advised by Pacheco, is starting to form with representatives from several SU schools, including Newhouse, the iSchool and Smith College of Engineering. With outdoor flights on the back burner, Pacheco, with the support of SU Athletics, is helping the student organization get indoor flight time in SU’s indoor sports arenas. 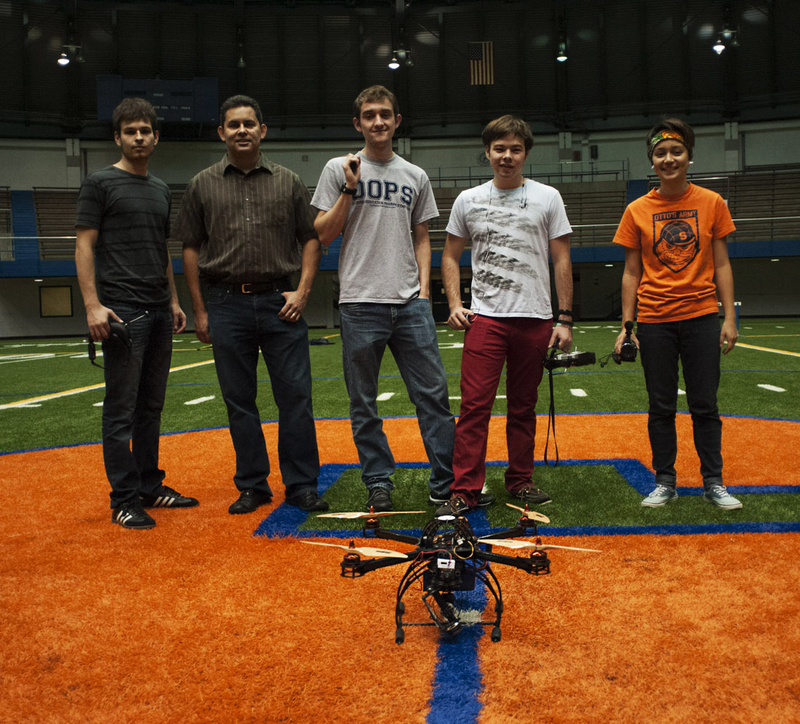 The first flight happened on October 4, 2013 in SU’s Manley Field House using iSchool student Arland Whitfield’s Naza drone. Whitfield was accompanied by two students from the Newhouse school, another from the iSchool, and one from LC Smith college of engineering. You can see the results of their first test in this video. Pacheco also recently sent two members of the student organization, Jay Getman and Erin Miller, to the DARC Drone & Aerial Robotics Conference in New York City. You can stay up to date on Getman’s research into drones on his blog, which is part of an independent study with Pacheco focused on new technologies for media. So where do things go from here? Pacheco is actively discussing next steps with SU Athletics. Apart from what we may do with them, the area of Drone Sports Journalism is ripe with possibilities. Have an idea for using flying cameras in sports? Post your comments here. It’s Drone Week here at Journovation, where we’re getting ready for our first Digital Edge Journalism Seminar on Wednesday (don’t foret to sign up here). To get a better idea what is going with with drones in journalism, a great place to start is the Drone Journalism Lab. It’s at the University of Nebraska-Lincoln and is run by Professor Matt Waite, one of the brightest thinkers in the future-of-journalism world. You can read all about the lab here. 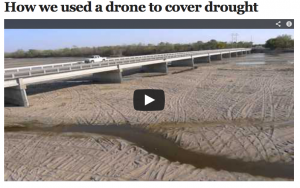 And you can see an example of how a drone can be used for journalism here, with their coverage of summer droughts in the midwest. Download this PDF flyer to print and share. 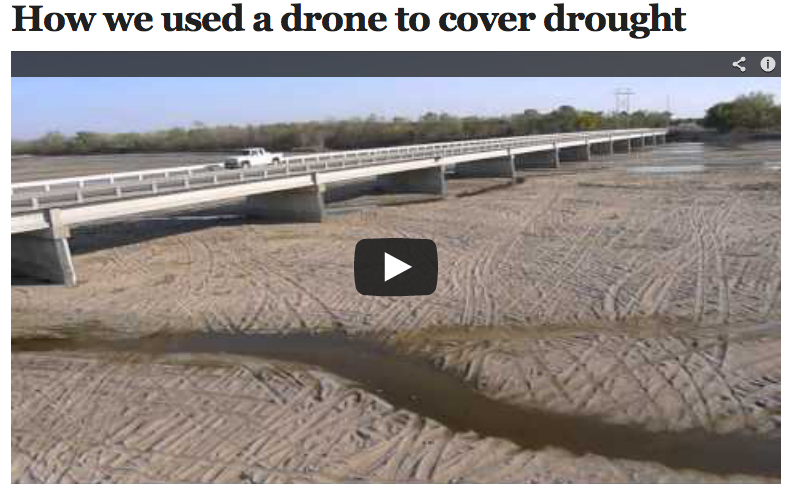 Unmanned aerial vehicles equipped with cameras aren’t just for the military anymore. Thanks to the FAA Modernization and Reform Act of 2012, they’re coming to newsrooms like 60 Minutes and CNN Money, TV and film studios, and even your back yard. 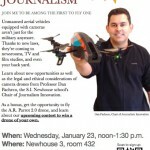 Learn about new opportunities as well as the legal and ethical considerations of camera drones from Professor Dan Pacheco, the S.I. Newhouse school’s Chair of Journalism Innovation. As a bonus, get the opportunity to fly the A.R. Parrot 2.0 drone, and learn about our upcoming contest to win a drone of your own. When: Wednesday, January 23, noon-1:30 p.m.
Light snacks will be provided with your RSVP.